For most of us, our smartphones are the portals through which we negotiate modern life. Those who don’t own one are in the minority, and that’s increasingly the case worldwide, not just in the US and Europe. We use them for far more than to keep in touch: thanks to a proliferation of apps and services, they’re how we go shopping, book appointments, keep track of our diary, plan our exercise regime and so much more. Increasingly too, our phones and mobile devices are the platforms on which we enjoy our leisure time. This means watching TV and films, listening to music, chatting or just scrolling through on social media, and playing games. 2018 was when mobile gaming really started to take off. Although there have long been video games and gaming apps for phones and tablets, they’ve always been regarded as inferior to those available for other platforms, specifically consoles and PCs. Serious gamers don’t play on their mobiles, and this isn’t just down to snobbery. For all their convenience, the reduced power and screen size of phones and tablets genuinely made them second best in terms of gaming, despite the best efforts of designers to innovate and cater for the mobile market. In 2019 all that is set to change. We’ve seen it beginning already, out at the extreme edges of the gaming market. On the one hand, we have the rise in hyper-casual gaming, which is the first gaming genre designed specifically for mobile platforms. Okay, there are those who sneer at hyper-casual for its simplicity, but there’s no denying that this format is hugely popular. And anyone who’s tried the likes of Sky Ball and Twisty Road will have to admit that their very simplicity is what makes them so entertaining and addictive. But for games designers the most exciting thing about hyper-casual, besides how easy and cheap they are to make and distribute, is the monetization model these games are pioneering. Hyper-casual games are free apps that make a profit through in-app advertising. The success of this model is going to result in even greater promotion for free games and apps where in-app advertising can be successfully sold. We are also going to see an increase in sports betting and online casino apps as this activity becomes much more acceptable and mainstream in the US and elsewhere. Already, popular examples like Sugarhouse online casino pa are creating a buzz among gaming connoisseurs and early adopters, and are available for Android and iOS users. At the other end of the scale, the successful mobile adaptation of console big-hitters Fortnite and PUBG is going to open the door for more console and PC blockbusters to make their way over to mobiles, or be relaunched for the platforms in new improved versions. This will be enabled by better phones more able to replicate and perhaps eventually even surpass the game-play and graphics of their big-screen relatives. The technology behind smartphones is improving all the time. In part this is driven by the necessity to keep selling to a saturated market: if everyone already has a phone then you have to keep coming up with a new improved model in order to keep sales high. Also, 2019 is going to see the widespread rollout of 5G networks. All of this will mean better and faster connectivity, improved sound and graphics, bigger memory and processing power, which in turn means the sky’s the limit as far as games are concerned. In 2019, over $22bn is expected to be spent on mobile apps worldwide, with gaming apps very much leading the way. In part this is due to the expected increase in mobile sales and use in emerging Asian markets, but the fact is we’re all going to be using our mobiles a lot more in the coming year, and we’re going to be looking for new games to play as well. One such phenomenon to look out for is cryptogaming. This is a marriage of two developing technologies: mobile gaming and Blockchain. The secure, encrypted payment format allows the spread of monetized multiplayer mobile gaming, in which players own their in-game assets. These can be bought or sold for real money. Cryptogaming is already an underground hit, but is set to break through to the mainstream in 2019. 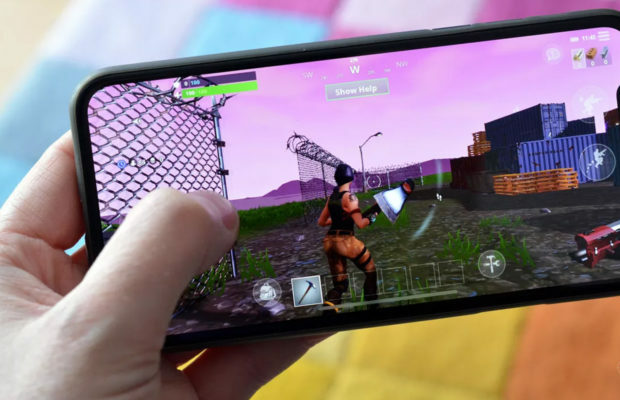 A perfect storm of improved technology, new markets and radical new revenue streams is set to drive mobile gaming to new heights in 2019. For the average user it’s an exciting time to be alive.